The ultimate all-in-one suite for Serato DJ Pro comes with massive savings of USD 154. Get more information about what's included below. 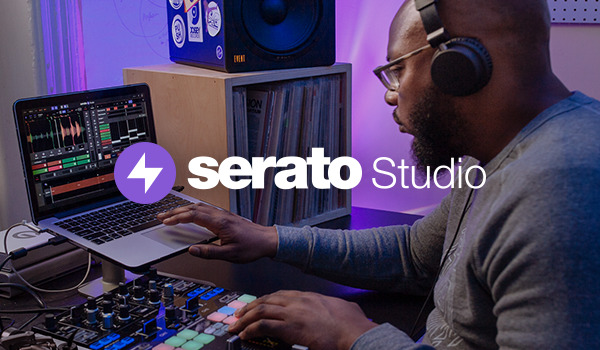 From the unknown to the greatest, Serato DJ Pro is the most popular DJ software globally. When you're about Hip-Hop, Dance, and everything in between, you're looking at the standard. Serato Video allows you to easily sync, mix and manipulate visuals in your DJ set. Incorporate visual effects and transitions as well as your own promotional graphics. Get access to over 30 custom effects presets to add to your set with the Serato FX Pack, powered by iZotope. Reimagine your tracks in unlimited ways. Extend or shorten, make clean edits or complete remix and reshuffle your tracks. Expand your setup by adding Turntables or CDJs to your DVS compatible hardware. Shift and sync the key of your tracks. You can also adjust to extreme tempo values, while maintaining pitch. All without any loss in audio quality.